It is normal for people to have the need of keeping their car in pristine conditions. 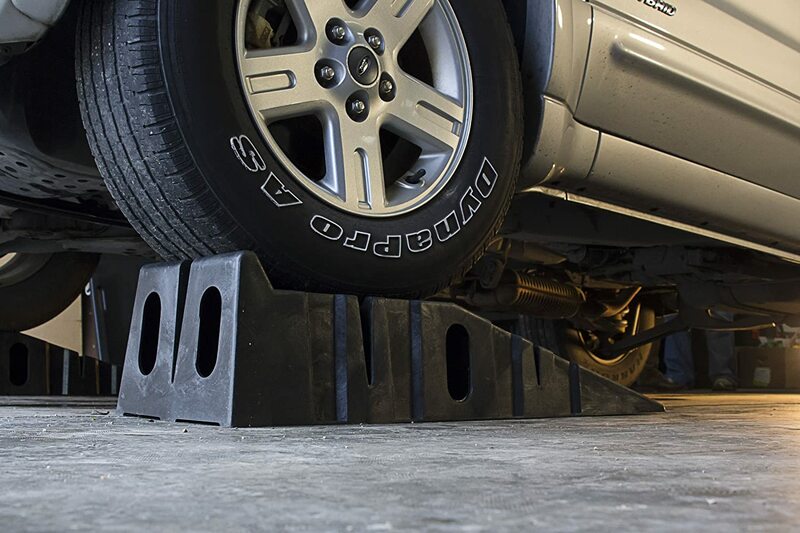 This calls for making sure that you have the best car ramps for checking under the car easily. It is always better if you get the best type of car ramps so as to end up having an easier time handling the repairs on your own. Let us get how to drive on car ramps. A number of things can always lead to having the car go onto the ramps. It is important that you get it right at all times to make sure that the ramps are holding the car properly upwards to avoid any accidents. So, what could make you drive up the ramps? – If you need to check for an oil leak, this could be the perfect way to do it. Sometimes you can end up with an oil leak that is hidden, so with the car on the ramps, knowing the position should be a matter of minutes. – If you have to change an oil filter, then having the car ramps could help a lot. With the car on the ramp, you can easily drain the old oil and remove the filter and proceed to install a new oil filter. – Maybe you heard a rattling sound from the engine; then you need to make sure that you get the car on the ramp to investigate further. It might because of some loose nuts or something else serious. These are not the only type of problems you can expect to make a person drive on ramps. It all depends on a person; you can use ramps whenever you feel there is the need to do so. When it comes to how to drive on car ramps, you should be in a position to do so well. It is important that you always get the car on the ramps safely. – The first thing is to get the car on a level ground so that the ramps can also be flat on the ground. – Proceed to place the ramps in front of the car front tires. Make sure that the tires of the car are pointing straight ahead so that you do not miss going over the ramp. – With the ramps at the center of the tires, drive onto the ramps until the front tires are all on the ramp. – If it is something that you are doing for the first time, you can have a friend watch out for you. You do not want to end up driving over the ramps. – Proceed to engage the parking brake to lock the front wheels. Also, use the emergency brake to keep the car from rolling backward down the ramp. – When you feel that the ramp is sliding, drive a bit faster, but keeping it smooth to overcome the sliding. It is always important to end up with the car on the best ramps.You need to make sure that you get it on the ramp correctly or you risk ending up with accidents. The best thing you can do is choose the best ramps on the market that would guarantee the best performance. The Best Types Of Differential Oil Change On The Market – Which One To Choose?